Sir Liam Donaldson. Patient Safety Envoy for the World Health Organization. An international champion for patient safety, Sir Donaldson serves as the patient safety envoy for the WHO and chairman of the Independent Monitoring for the Polio Eradication Programme. 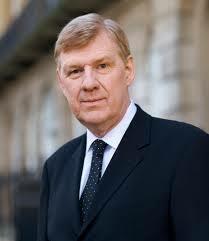 He is also the current chancellor of Newcastle University in the U.K. Previously, he was the foundation chair of the WHO World Alliance for Patient Safety and the CMO for England, and the United Kingdom's Chief Medical Adviser, from 1998-2010. Sir Donaldson has authored of more than 170 papers in peer-reviewed journals and a standard textbook of public health.